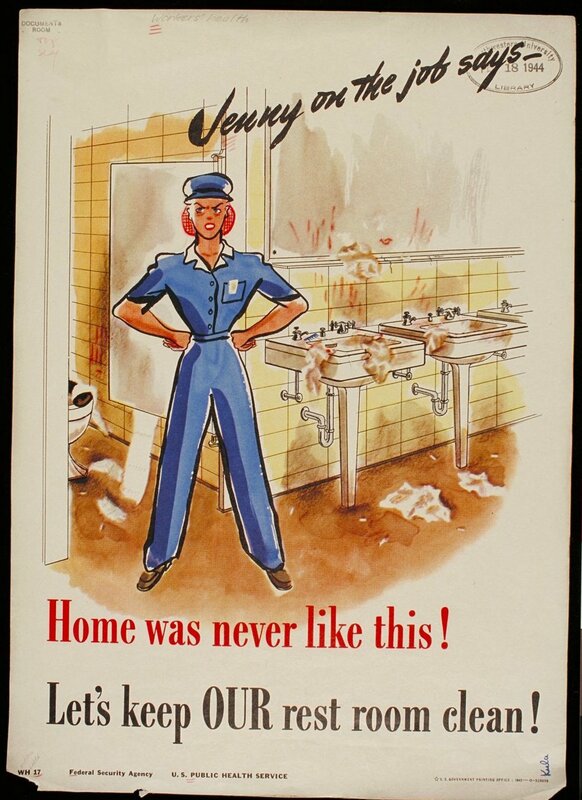 In 1943, Jenny was on ‘The Job’. 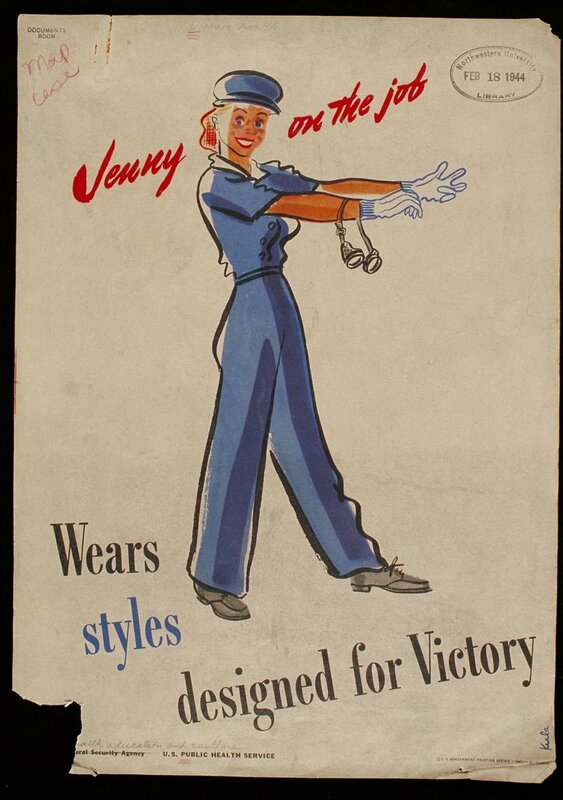 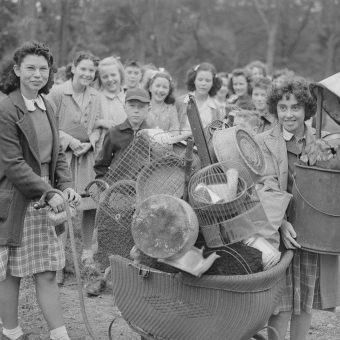 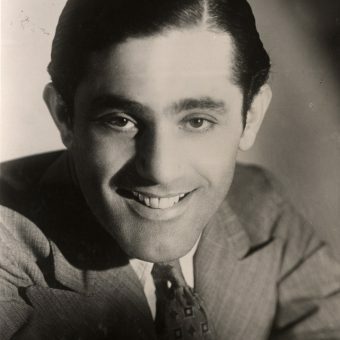 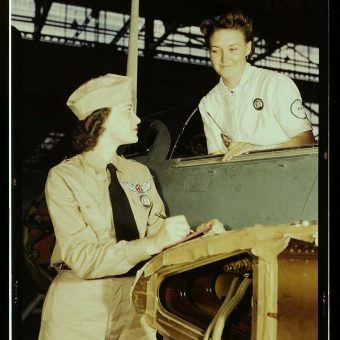 A role model to American women, Jenny on The Job was the lithesome blonde doing her bit for the war effort. 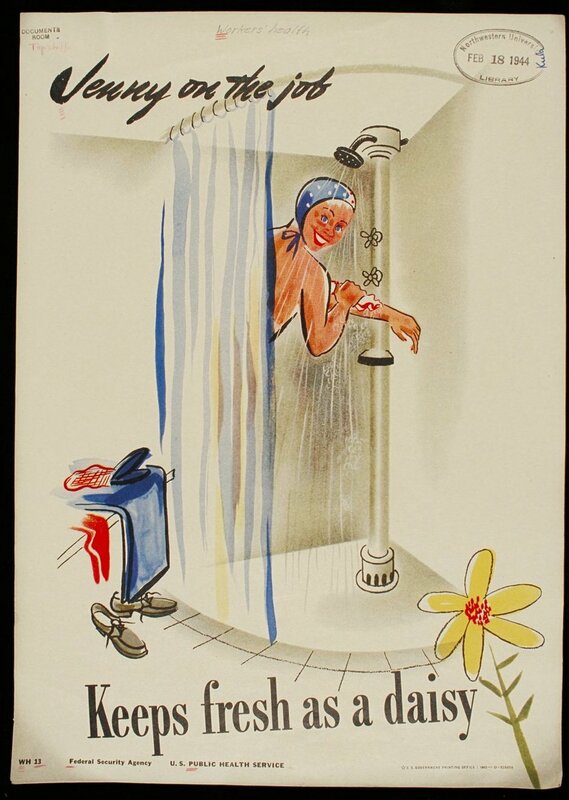 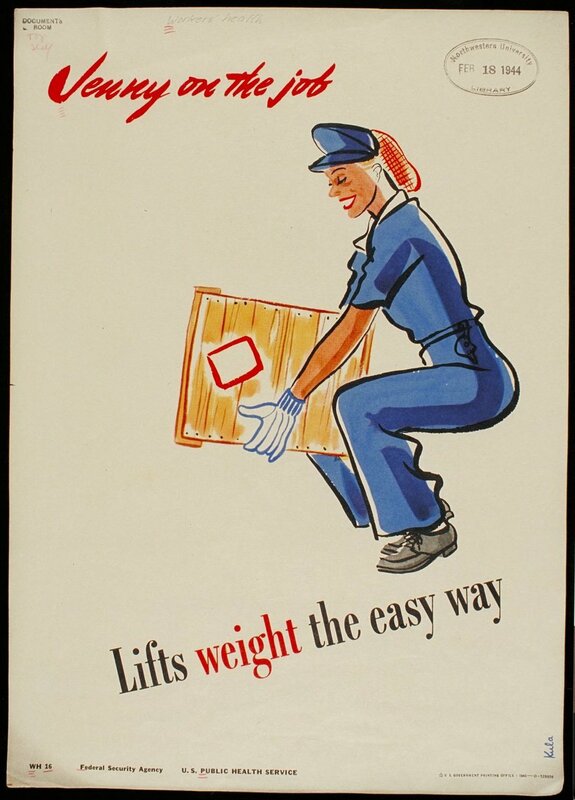 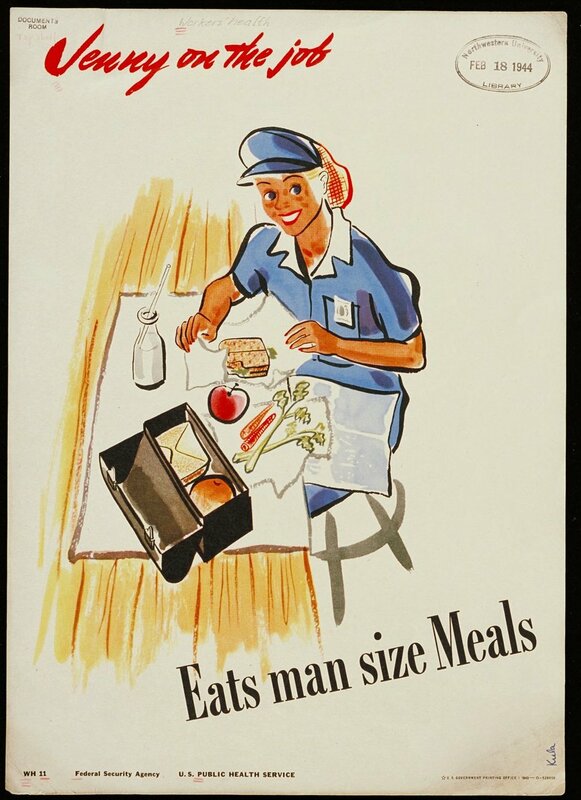 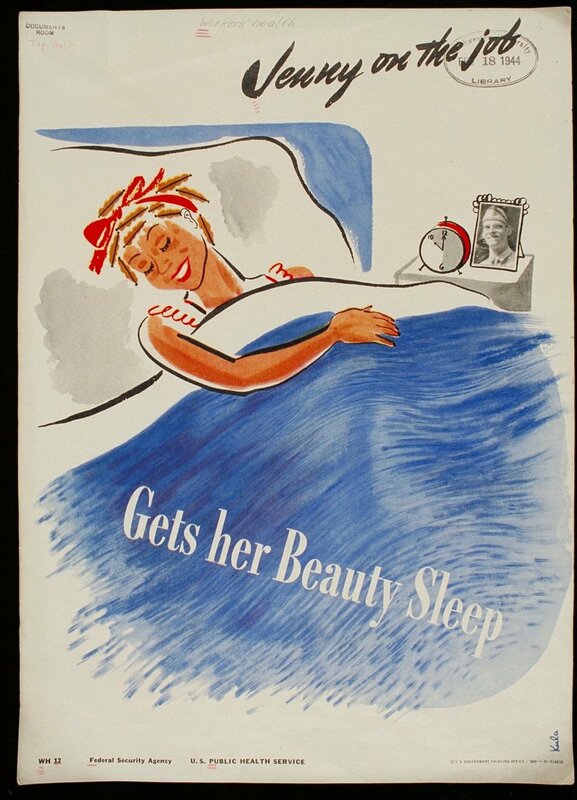 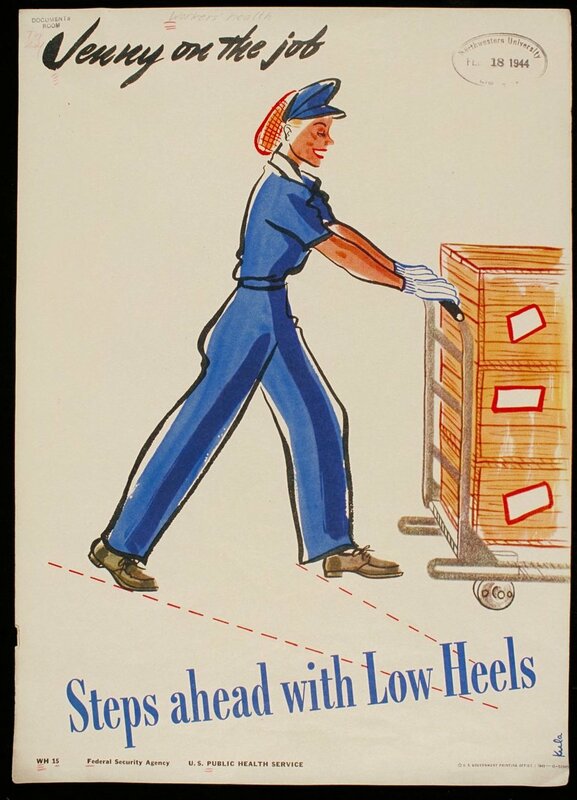 In a series of eight posters issued by the United States Public Health Services, artist Kula Robbins showed us Jenny at work, at home, lifting things the correct way (i.e. 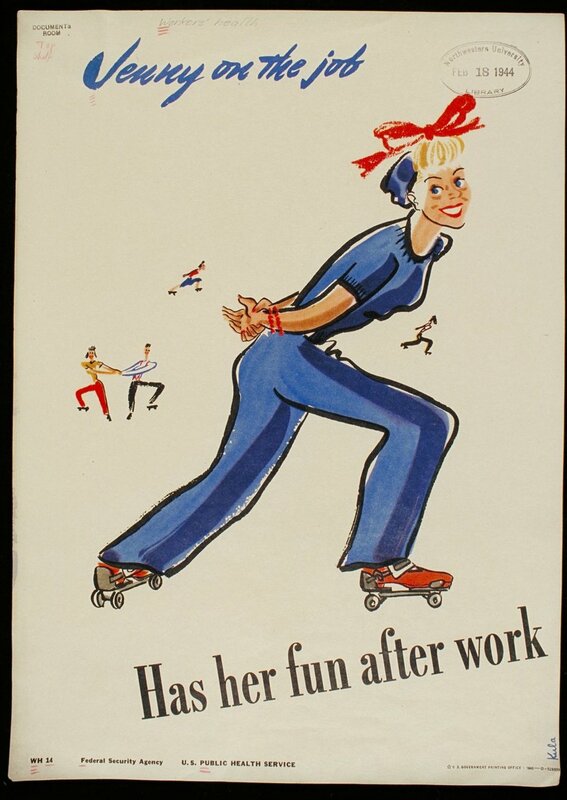 whilst smiling), skating, loving her “low heels” and in the shower.